The recently introduced Aiphone WL-11 wireless video doorbell has been equipped with an impressive list of user-friendly features which, together with the communication brand’s enviable reputation for reliability, should enable it to achieve a significant share of the fast growing home security market. The Aiphone WL-11, which requires no wiring and runs off six AA-size batteries, is designed to be installed by homeowners with no technical expertise. As a replacement for an existing doorbell, it simply needs to be located on an external wall and it will automatically connect to a portable hand-held monitor to enable users to see and communicate with any visitors. 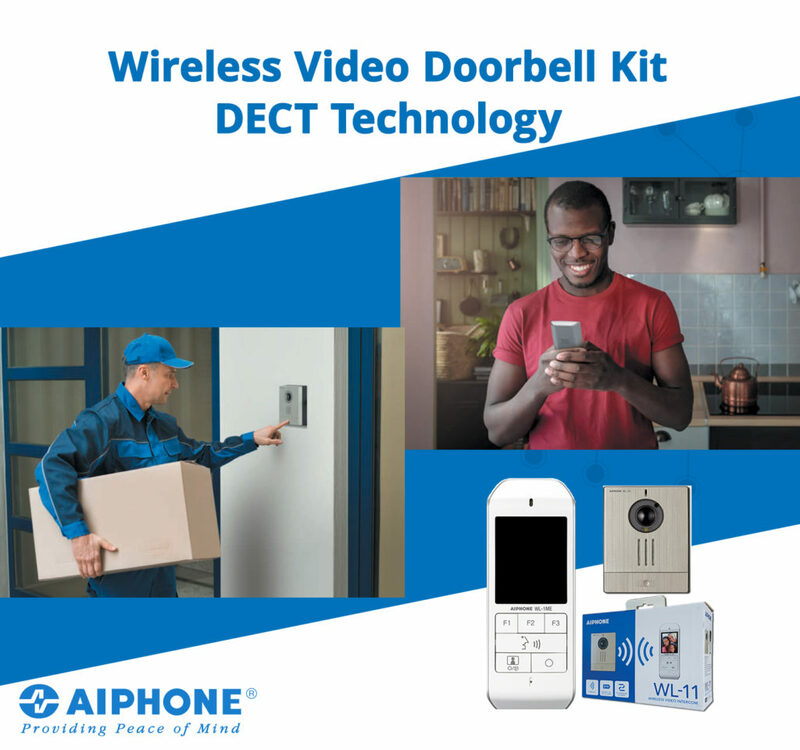 “Our new wireless doorbell solution stands out from the crowd in a number ways, but in particular because it utilises Digital Enhanced Cordless Telephone (DECT) technology which is the digital transmission standard for telephone systems,” said Wyatt Taylor, Managing Director of Aiphone UK Ltd. The camera built into the Aiphone WL-11 video doorbell has a 110° viewing angle and can be manually adjusted for height, so that all visitors are seen. A choice of four different ring tones alert home owners to the arrival of visitors, with 3 images of every caller automatically recorded on the portable monitor, with up to a maximum of 100 images stored before they are overwritten. During a call, users have the option to manually capture an image of the caller, adjust the viewing angle of the camera or rotate the monitor for full screen viewing. They can also at any other time review the images associated with previous calls and access the Aiphone WL-11 menu with the help of the monitor’s 2.4” colour LCD screen. A warning message appears on the screen if and when the video doorbell’s batteries need replacing, whilst the monitor is supplied with a wall mounted or desktop charging base. As is the case with all Aiphone intercom and video door entry security solutions, the reliability of the WL-11 is backed up by the company’s ‘no fuss’ three year warranty policy.